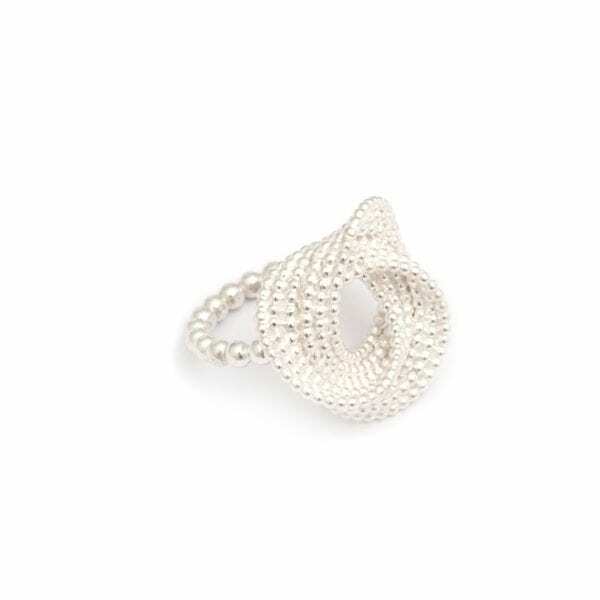 Endless rows of delicate bubbles make up this organic statement ring. We thought you would like to know has been eyeing up our Sterling Silver Sweet Keys Ring for some time now and has requested we bring it your attention. What's your question about Sterling Silver Sweet Keys Ring? A stunning statement ring made in sterling silver. 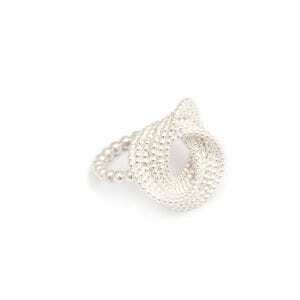 The delicate fluid bubble detailing twists and folds giving this piece a wonderful structure and shape. This ring looks great worn on any finger but especially on the middle finger. Ring Size: O. Band Width: 2mm. Folding Bubble Dimensions: 23mm x 25mm. Note: Available to order in different ring sizes, metals. Matching Bracelet, Earrings, Necklace available.